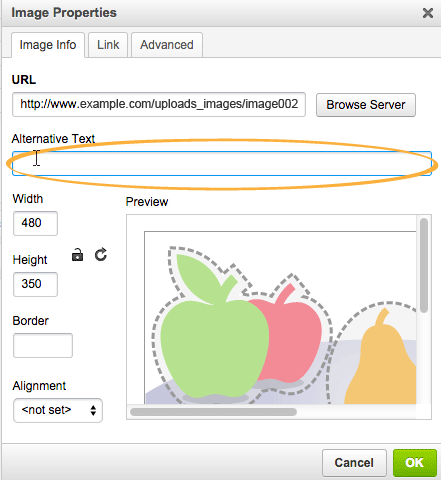 In the editor of [Email Content], locate your mouse in the position where you want to insert the image. 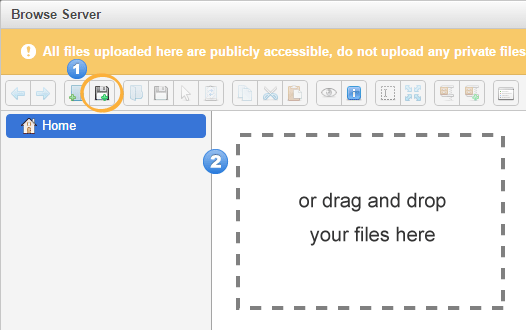 Click [Image] icon in the Menu of the editor. 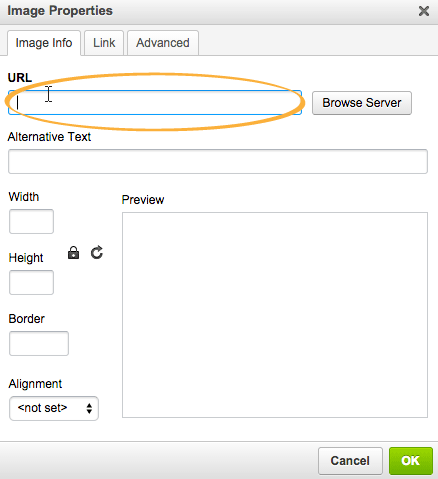 If the image you want to insert is already stored in the Internet, you can simply copy and paste the link of the image in the [URL] field. 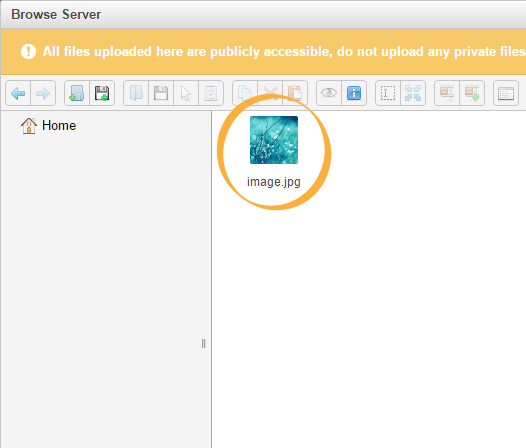 If your image is not stored in the Internet, you can upload it to our server, and then select the uploaded image. After selecting the image, the image will be shown in the [Preview] panel. It means you successfully select the image. 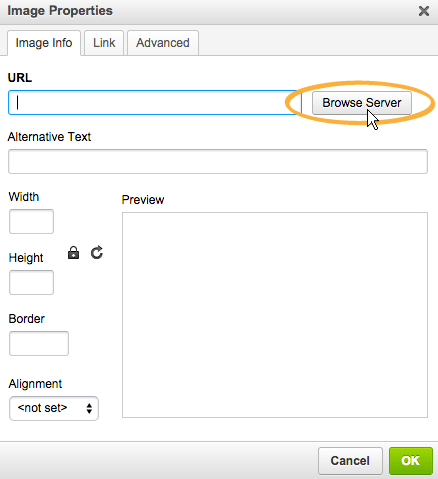 You can add [Alternative Text] for the selected image. These text will be shown when your recipients' email clients block images. When everything is ok, click [OK].